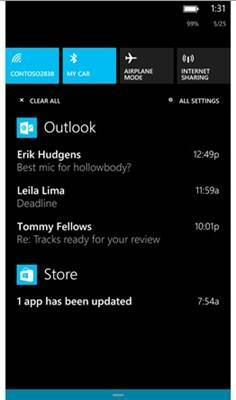 A few days ago Joe Belfiore; corporate Vice President and Manger for Windows Phone unveiled its new update. The Windows Phone 8.1. 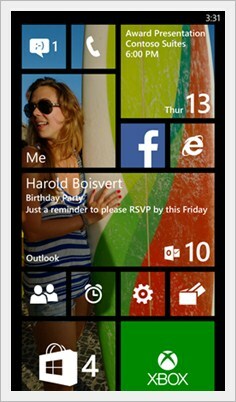 Windows Phone 8 was a major overhaul compared to WP7 and WP7.5 (WP7.5 had 500 new updates over WP7). Windows Phone which is still struggling to gain its foothold in the mobile market share has now launched its new update to WP8. After 4 years of struggle; Microsoft’s Windows Mobile has been able to garner 3.9% share in worldwide Mobile Market. Will Windows Phone 8.1 up this number for Microsoft? Only time will tell. This article here features 21 Updates seen in Windows Phone 8.1. The article is divided in three section. The first section contains Top 9 Ground Breaking Features. The second section contain Top 7 Update WP users asked for and the last section contain Top 5 New and Improved Features. So take a deep breathe and start discovering. We first saw the Notification Panel along with Action Center on Android. Much quickly Nokia’s Symbian OS (hope you haven’t forgotten the legendary Symbian yet 🙂 ) came with a Notification Panel and Action Center. Apple wasn’t behind too in integrating the Notification Panel and Action Center in iOS 7. So right now; it was time for Windows Phone new update Windows Phone 8.1 to come with a much needed Notification Panel and an Action Center. Windows Phone came with a new ideology. It displayed updates on its Tile based interface. But still the fresh tile based interface wasn’t enough. It didn’t let Windows Phone users know about each and every new notification. But we’re glad Windows Phone 8.1 came with a Notification Panel and Action Center. Better late than never we must say. The Notification Center isn’t much different from the one we’ve seen on Android. You swipe down the top part of the screen. This displays recent notification and quick toggle buttons. You can view notifications by tapping on them or either remove them by swiping left or right. Windows Phone 8.1 does features quick toggle buttons like WiFi, Bluetooth, Airplane Mode and Rotation Lock. Like Android you can customize these four toggles as per your needs. So instead of Bluetooth you need Brightness toggle. You can go into Windows Phone 8.1 Settings and choose Brightness toggle in place of Bluetooth. A video from Youtube user Yash Maheshwari exactly shows what I’m talking about. Just like Apple’s ‘Siri‘ and Android’s ‘Google Now‘ and a little bit like Samsung’s ‘S-Voice‘; Microsoft has also launched its personal assistant Cortana. You can trigger Cortana right from Live Tiles. Cortana has tile with a halo ring on it; based on the color of your theme. Cortana is basically powered by Microsoft’s own Bing Search. Just like any personal assistant; you can use Cortana to make phone calls, messages, search contacts, search results, set appointments, reminders. Cortana can even play music for you. It can even sing music for you. Cortana can track your online searches and usage behavior. This will help provide Cortana a better User Experience. Microsoft says that it will allow Cortana to access third party apps like Facebook, Email Clients etc and keep you alerted about new updates. Cortana will roll out in beta stage for US and later in UK and China. We’ve heard the news; Cortana might come to India only in late 2014 or early 2015. To be true Bing works great in US and UK. In India, Google still dominates the web. Here a video from TheVerge showing a quick glimpse of Cortana. 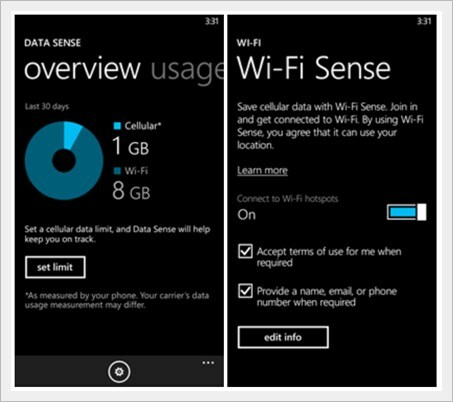 WiFi Sense is a part of Windows Phone Sense Apps. WiFi Sense is an amazing addition to Windows Phone 8.1 features. What WiFi Sense Actually does is? It automatically connects you to previously known WiFi Connections. It doesn’t even requires to type in login credentials like email or phone number. So basically you can hop from one WiFi Connection to another, without even breaking a sweat. This feature automatically connects you to Open WiFi Networks, thereby saving you data costs. To be true, right now we don’t have much details about how this feature exactly works. But on paper this new Windows Phone 8.1 feature does looks Ground Breaking. This new update is going to make Windows Phone 8.1 users happy along with the app developers too. To say in short. Now developers can create just one app which runs on Smartphones, Tablets, PCs and Xbox. So now you don’t have to download different version of same app for Windows Phone 8.1 Smartphones or Windows RT tablets. Even developers can now create just one app which is universal. Which means; the same app runs on smartphones, tablets, PCs and Television; provided the TV is attached to Xbox console. This has really brought a new hope for app developers. Now developers don’t have to sweat over creating 4 different version of the same app. Microsoft has brought in new libraries, tools and services to make sure app creation is easy. Even the apps are universally robust. We’ve seen Windows Phone 7, 7.5 and 8 with two rows of live tiles. Until Nokia launched the Nokia Lumia 1520 and 1320. These Lumia phones had 6 inches screen. Nokia 1520 and Nokia 1320 used three rows of live tiles instead of two. 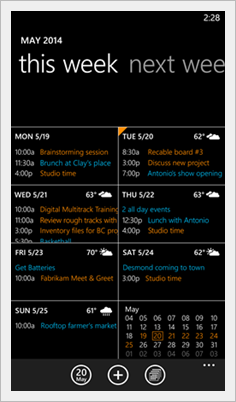 By default Windows Phone 8.1 on smaller screens (screen size less than 5 inches) comes with two rows of live tiles. But after the update you can now have 3 rows of Live Tiles even on smaller screens. As seen in the image above you can see a screenshot on Nokia Lumia 630 with 3 rows of Live Tiles. So even if you own Nokia Lumia 520; you can use this feature. Now this really depends on you. You could either like this feature on smaller screen; as this gives more live tiles. But takes a lot of screen real estate too. Do let us know in the comment section. If you update your phone to Windows Phone 8.1. Would you use two row tiles or three row tiles. To be obvious this update doesn’t need much explanation. 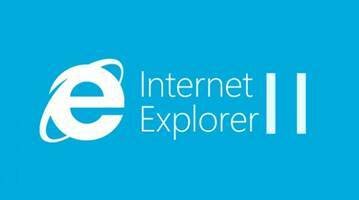 With Windows Phone 8.1 you get new version of Internet Explorer i.e. Internet Explorer 11. According to WPCentral.com Internet Explorer can now save and remember passwords for websites. You can even upload files through it. Internet Explorer 11 on Windows Phone 8.1 now shows tabs individually in multitask window. You can now play YouTube video straight inside IE11 and it even supports HTML5. Read long web articles?. IE11 on Windows Phone 8.1 now brings in night mode. This mode separates text from articles and displays it on screen. This gives you a distraction free experience. Unlike seen in Android and iOS, Windows Phone 8 has a single app for Music and Video. This app was called as Music + Video Hub. But now Windows Phone 8.1 update has split this app. This split will now allow Music and Video app to get new updates. The Music app will now include option to edit your music. You can even add audio effects to your music. Even the Video app lets you edit and add various effects to your video files. The USP of Video app is it can create slow motion videos right on the phone itself. Isn’t that cool?. With Vanilla Sandwich update Google brought in on-screen buttons for Android. If not copying; Windows Phone 8.1 took cues from Android; brought in on-screen navigation buttons too. The recently launched Nokia Lumia 630 with Windows Phone 8.1 had no capacitive navigation buttons on the front. Instead it had on-screen buttons. So all you’ll see on the front of Nokia Lumia 630 is just the display, nothing else. I personally don’t like on-screen button as they take up precious real estate. I don’t like them on Android and maybe not even on Windows Phone 8.1. What is you opinion about on-screen button? Do you like it or not?. Let me know your answer in the comments section. I’d really could have kept this feature at #3. But I guess the #9 position is best. If you’ve seen the Camera app on Windows Phone 8. You’d see on-screen buttons just on the right side of the screen. The Camera app on Windows Phone 8.1 showcases on-screen buttons on right as well as on the left side of the screen. The right side basically holds the Image Capture button, Video Capture button and Burst Mode button. While the left side holds various options like Image Gallery, ISO settings, Lenses and Scenes. if you’d ask; Yes you can edit these options as per your use. So in place of ISO settings; you can replace it with Resolution and many other options. One thing to notice is. The recently launched Nokia Lumia 630 and 635 doesn’t have a dedicated camera button. This can come as a shocker. So now you’d forcefully have to use the on-screen image capture button. Another great update done to Windows Phone 8.1 camera app; is the Burst Mode. The Burst Mode keeps clicking pictures as long as you hold the Burst Mode on-screen button. To make things much easier; the Image Gallery shows Burst Mode Images in a single set with name ‘Burst‘ assigned to it (as seen in the video below). It then allows you to select the pictures you’d like. The app then automatically deletes all other unselected images. Isn’t that cool? What you say? Here’s a video from Windows Phone Central demonstrating Windows Phone 8.1 camera app. Another nicer addition to Windows Phone 8.1 update is the Word Flow Keyboard. Word Flow Keyboard is basically Microsoft’s version of Swipe-based Keyboard. With Word Flow you can easily swipe on keys to type faster. And as soon as you lift your finger; it creates space. For Your Information Microsoft already has a Guinness World Record under its belt for fastest typing using Word Flow Keyboard. I am not a big fan of Swipe-based keyboard. But there are many people who swear by Swipe-based keyboard. And a Guinness Record will probably add much value to Windows Phone 8.1 Word Flow Keyboard. A cool video from Abhishek Bhatnagar of GadgetstoUse demoing the Word Flow Keyboard. 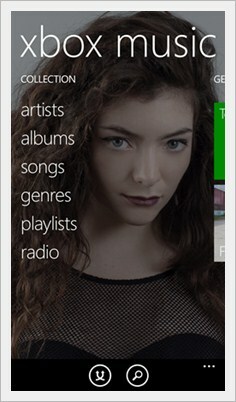 We’d probably expected this in Windows Phone 8. But Skype came as a separate app on WP8. After buying Skype for $7.8 Billion Dollars; we do expect Skype to come integrated in Windows Phone. Microsoft has now done that with Windows Phone 8.1. Skype comes pre-installed on Windows Phone 8.1 and is tightly integrating into the OS. Now when you make a call from the dialer. 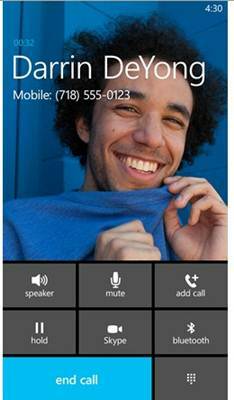 It has an option to make call through Skype (see image). Finally! Microsoft heard consumers and brought option to set different Volume levels for Music, Calling and Alarm. A lot of Windows Phone consumers had hit back on Microsoft for unifying Volume Control. So now you actually get an option to set different Volume levels for different applications. Are you a Windows Phone 8 user? Do you complain about not able to set wallpapers on you Start Screen? Thank God! Now you can! Yes! Windows Phone 8.1 does let you set your own Custom Wallpaper. So now you can set your own images as a wallpaper. Windows Phone 8.1 even adds Parallax effect to the start screen. So swiping tiles upwards or downwards doesn’t slide the image. It stays in the background and adds depth to the start screen. As seen in the images above. Certain app tiles aren’t transparent. Windows Phone developers now have to work a little more to add transparency to its app tiles. Well if you weren’t much satisified with WP’s enhanced Start Screen. Another reason to rejoice is its customizable Lock Screen. Windows Phone 8.1 now has an app to change the look and feel of the Lock Screen. It lets you change fonts from various text and sizes. You can even set animations as per your choice. The app even lets you choose various Lock Screen Themes. 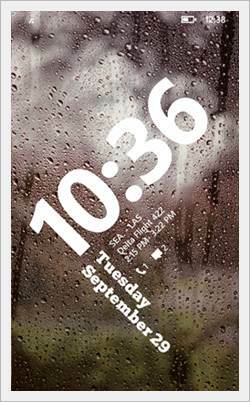 Even developers can add various customization to lockscreen. The API is open to Windows Phone developers as well. This video from WPCentral shows an interesting review of Windows Phone 8.1 Lockscreen. We all know; pressing Back button closes app on Windows Phone. But due to the Windows Phone 8.1 update; pressing back button now suspends an app. Taking inspiration from Android and iOS; WP8.1 now lets you close apps by swiping them down. You basically long press the back button. It shows open apps in form of cards. Then swipe down to close apps. This update will now save a lot of headache of closing the right app. Why did Microsoft integrate Facebook into Windows Phone? Is this the question you have? Well Microsoft is an investor in Facebook. This really makes sense for Microsoft to integrate Facebook inside WP. You can now update Facebook Status from WP8.1 itself without opening the app. Windows Phone 8.1 even allows you to import Contacts and Events from Facebook, Bing and One Drive. The sharing feature has also been updated in Windows Phone 8.1. So you can now share content of one app into other app using the Advanced Sharing feature. Another great addition to Windows Phone catalog of updates. The Sense apps were present in WP8 too but weren’t refined. In this new update Microsoft has pushed the Sense apps too. A lot of users were disappointed because Windows Phone didn’t let you store App + Data on SD Card. But now on Windows Phone 8.1 you can choose what type of data is stored in SD Card and Mobile Hard Disk. Windows Phone 8.1 now supports SD card upto 128GB, you can now store as much apps and games as you want; without worrying about the Phone’s memory. As the name suggests; Battery Sense lets you monitor your Battery Stats. Basically the Battery Sense app shows battery consumed by different apps. 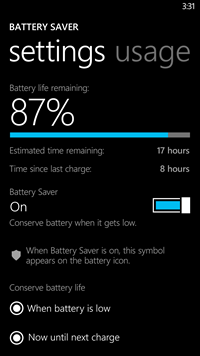 Using this app you can set Battery Saver to help extent the Battery Life. Similar to Battery Sense; Data Sense lets you monitor you Mobile Data. You can set data limit as per you data plan. You can choose which app can use how much data. This feature here can actually save a lot of your data cost. Microsoft has brought in a lot of meat to the Calender App in this new major update. You can almost call it a much better Calender app compared to previous version of the OS. To start with you can manually set reminders on Calender. On the other end; Cortana can set Calender reminders for you. Since Windows Phone 8.1 is deeply integrated into Facebook, Bing and OneDrive. Reminders and events from these apps will also appear in the Calender app. And since its Windows; using the app is going to be a very simple deal. ***We don’t have much details about this topic. It will be updated as soon as we have new news about it. To give you a shocker; Windows Phone 8.1 can be updated to every WP8 devices. So it doesn’t matter if you use a Nokia Lumia 920 or Nokia Lumia 520. Every Windows Phone 8 devices can be updated to Windows Phone 8.1. Right now Microsoft has launched Developer Preview of Windows Phone 8.1; so developers can built/update their apps based on new Windows Phone 8.1 architecture (Remember! WP8 apps do not support Windows Phone 8.1). 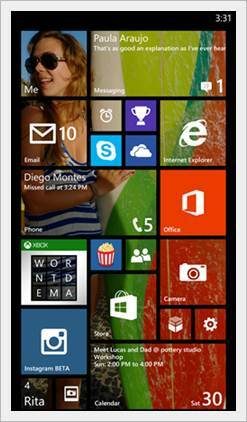 The consumer version of Windows Phone 8.1 is touted to release in early May in Tier-1 countries. Cortana will be available only for US, UK and China in beta version. For India Cortana might launch only in 2015. Do you own a Windows Phone? Want to get Windows Phone 8.1 before everyone else? Click here. If you enjoyed this article. Could you do me a favor? I’ve spend almost 22 hours writing this post (Yeah! I’ve taken brakes and went to the loo too). And just your one share will pay off for my hard work. Deal? I know you aren’t mean to not do so. Before leaving; leave a comment right below. Let me know what features you liked and what you truly hate. And after Windows Phone 8.1 are you moved to buy a Windows Phone? Or is Windows Phone is going to sink in front of Android and iOS?. And Yes I do reply to your Comment. I love to hear from my readers. The top 9 ground breaking features of the Window Phone 8.1 features are very attractive. I am not a Windows phone fan but from what I can see in this review, the features seems to worth trying out. However, I think there is more to be done by companies manufacturing smartphones running on Windows mobile operating system, if they want to beat android and iOS the market leaders. This is interesting to me. I have an iPhone. I just do. But when it comes to the computer I am Microsoft all the way. But the phone . . . iPhone. I think it is because I started years ago with an iPod for music and then went to an iPod touch for music and texting and other stuff . . . I guess this dates me because everyone texts now with their phone. But I think it is interesting that Microsoft is trying to get in to the game. So, they have a personal assistant, Cortana, huh? Wifi Sense. That seems cool. The iPhone also does that. When I come home, it automatically connects to my Wifi so I don’t have to pay for the data. I like it. I read through your post . . . there are many intereting point about the Windows Phone. Hmmm. I like the Battary Sense. I am a fan of Windows phone and after reading this I am obliged to go for a Window’s phone. The tiles feature of Window’s phone is awesome. I think the notification’s feature in Android phones makes you check your phone every 5 minutes- that’s not a good sign. 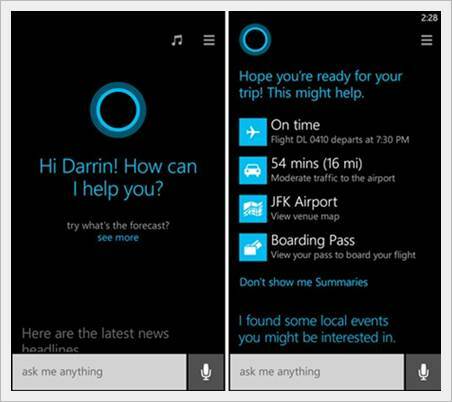 Cortana is the awesome update as I loved Siri in Apple and I am eager to have my hands on phone and talk with Cortana. You have done a fabulous work here Abhishek- 22 hours of work, that is inspiring as a blogger. I found this article on kingged(dot)com and I kingged it. hi. i just stumbled upon your blog on blogging community(kingged) and the way you share your message in writing is understandable. you blogging style is good. keep up the good work. have a nice day ahead. I am glad you the read the post and mentioned your view about it. The problem with WP was they had a very bad start and a more buggy OS. This led to people who bought the first iteration shunning it down. This led to people leverage the benefits and open nature of Android. And with Windows Phone 8.1 even big brands from China will be banking on Windows Phone. I was hoping you to comment on one of my submission because you have been “Valuable commentator of the day” on Kingged.com on so many occasions. And to tell the truth; Apple’s Macintosh was responsible for the PC Wars, Apple’s iPod was responsible for the PMP Wars and then iPhone for the Mobile Wars. It was because of the iPhone we have so many good technologies in our hands (And China for reducing prices of these technologies). It just upped the competition. And I’m glad you read through all the blog post. Battery Sense is like any other Battery Saver app out there. And talking about WiFi Sense. There isn’t any strong information on how the feature actually works. Have a nice day Barb. You have shared some nice points related to windows 8.1. I wasn’t aware of all these features but after reading your post I got to know many things about windows 8.1. A nice list of windows updates. As I am also using Windows 8 so I was eagerly waiting for 8.1 update. I think the cortana and wi fi sensor is gonna rocking. And i hope this time windows gets a little better,good and universal apps. I am a WP fan since WP7. I felt disappointed because I couldn’t update my Lumia 710 to WP8. I got a Lumia 820 and I felt happy because the update brought new features and kept the simplicity and uniqueness of th OS. It was different from the rest even if I was unable to set a wallpaper. Now with WP8.1 it looks like they want to copy everything from Android. How’s that I can’t share a pic from within the OS and instead I have to open an app??? That’s what they call integration??? And now the hub games is gone and I have a list of apps longer than my Windows XP Start Menu list was. The comma was missing from my keyboard and I had to tweak my settings to bring it back. The cursor now behave so strange and I’m not getting used to it.